Ubisoft's Far Cry Primal “CaveBnB” contest is easy to enter. 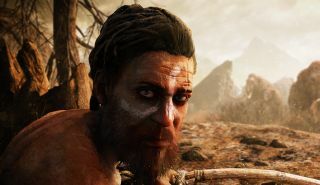 Just aim a tweet at the FarCryGame account with the appropriate hashtag explaining why you want to spend a night in The Cave, and you'll be in the running. You might want to take a moment to think about whether that's really something you want to do, though. Because the winner of the contest will actually have to spend a night in The Cave. The line between “have to” and “get to” is a fine one sometimes, and probably never more than when it comes to the prospect of sleeping on the rock floor of a dirty grotto somewhere in the middle of France. “Once night falls, you'll have to deal with an inhospitable environment and survive in the most extreme conditions, spending the night in a cave with very few comforts,” the contest site says. Gosh, guys, is this the prize you're talking about, or what will happen if the plane crashes on the way there? The good news is that you won't be left to fend for yourself with only the skills you've picked up over years of playing Far Cry. Prior to the night in the cave, you'll be given a day of survival training that will teach you to “push your limits and reconnect with your most primal instincts.” If the video is accurate, that means swallowing worms and pooping in the forest without being eaten, in whole or in part, by a pack of wolves. I have no doubt that there are quite a lot of people who would love to win this contest. After all, there are people who jump out of perfectly good airplanes for fun. And I certainly don't mean to judge if that's your thing—you do you and all that—but I sure don't understand the attraction. Sadly for hopeful cave-sleepers in North America, the contest is only open to citizens of France, the UK, Germany, Spain, Belgium and The Netherlands. Everyone else will have to be content with digging a hole in the yard and tucking in for the night. To be fair, the winner won't be subjected to relentless misery and torment. The winning prize also includes transport, meals (proper meals, I'm assuming, and not Wormy Stew), and a night at a “standard hotel” in Lourdes, which sounds like it might be nice. The full rules for the Far Cry Primal CaveBnB contest, which runs until 11:59 pm GMT, are available here. Far Cry Primal comes out on March 1.